One of the biggest challenges when implementing digital transformation is finding the right staff. Any changes you want to implement will need to be designed and maintained by your own internal talent. Finding the right hires to work on the front lines is essential if you’re going to keep your services top notch. In a digital economy where there is such a variety of talent, it can often be difficult to find the hires you need to get your systems up to scratch. Yet it’s a winnable battle if you spend adequate time preparing. Taking the time to meticulously plan your needs and researching the staff you need, can make sure that you find the talent to bring your systems up to date. After all, any talent you take on will need to lead you in their field of expertise. This means new hires will need to keep their skills sharp and up to date, as well as taking onboard advice from other experts in their field. Hiring niche expertise is essential because digital transformation is a continuous process, and you need someone who has the knowledge to be able to grow within their own field. At a basic level, the talent you need for digital transformation depends on what digital services you need. No two companies are the same, and your place in the market will greatly determine what hires you need in order to operate efficiently. That being said, if you’re doing business online, the grand bulk of your strategy is going to come down to your IT staff. You need staff who not only maintain your legacy systems, but know how to incorporate specialist emerging technology as well. In a nutshell, you need a versatile and multidisciplinary team. Below we look at the crucial hires you need for the digital transformation of your business. Most online businesses (and indeed most offline businesses too) live and die off of their customer experience. The first thing you need is a team that can provide your target market with a fulfilling experience. Any experience designer worth their salt will be the first point of call when it comes to creating a positive experience for your customers. They will have the technical knowledge and expertise to test your services against the needs of your target market. Methodically testing and revising your platform until you refine your software to serve your target market effectively. In many cases, your user experience will define whether your target audience chooses to come back, or goes to a competitor. As a result, you want to find an experienced designer who has experience creating products above all else. By hiring a designer with a story of working on products, you can ensure that they’ve put their theoretical knowledge into direct practice. If you’re incorporating cloud computing, it’s vital to have DevOps engineers on hand to help. DevOps engineers will be your source of navigation through a rapidly evolving online cloud service landscape. They will not only have the technical knowledge to optimize your systems, but to create custom infrastructure for your company too. 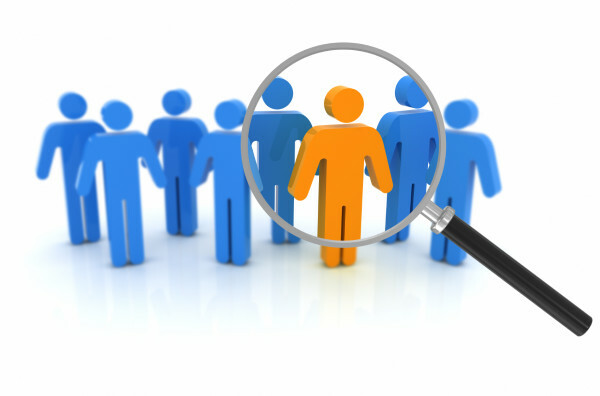 When you’re searching, you want to hire an engineer with over 5 years’ experience. A good DevOps engineer will be able to take stock of your IT infrastructure and help you find ways to improve your overall efficiency. This not only makes your job much easier, but provides a better service for your customers. If your field is particularly fast moving then you’ll definitely need a full-stack architect. Hiring a full-stack architect will give you talent who can weave in and out of your critical systems whilst providing a solid web and mobile user interface. A skilled architect will keep both your existing technology and your new technology working for you in tandem. In terms of experience, most full-stack architects will have in excess of eight years’ experience in software engineering and knowledge of 1-2 programming languages. You’re hiring an architect to handle your entire software system so it’s a good idea to pick someone who has experience juggling plates and is familiar with multiple stacks. If you want to build scalable interfaces then Front-End Developers should be another hire you seek to embrace. They will not only help you to add a front-end face to your business plan, but help you to provide a better service to your customers as well. As mentioned above, an interface that’s easy to use will keep your customers coming back for more. Ultimately, your selection of talent will make or break your company. At times it can feel like an uphill battle to put together a balanced team, but if you take your time, a diverse team will pay dividends down the road. It’s important to remember that your tech talent is your greatest asset. Your engineers and architects create the services that keep your customers coming back long term. Take the time to draw up a plan of the staff that you need, based on the systems and services you’re looking to create. It’s important to recognize emerging technology and consider where your industry is going in future. You’re not just hiring to transform your company in the short term, but the long term as well. If you lack technical knowledge it can be a good idea to hire a contractor to provide a consultation on the staff you need to incorporate in order to run effectively. It’s not uncommon for the recruitment process to last 5 months or more when it comes to technical roles, but quicker if it is a contract, so it’s a good idea to have a clear idea of the hires you want to take on before you commit to the recruitment cycle.